In NSW the legal profession is made up of two types of legal practitioners: solicitors and barristers. In NSW, a solicitor is a person who holds a NSW practising certificate that allows them to practice as a ‘solicitor and barrister’, and a barrister is a person who holds a NSW practising certificate that allows them to practice only as a ‘barrister’. Most people who become legal practitioners have got their legal qualification by completing an approved law degree at a university. It is also possible for a person to get their legal qualification in NSW through a completing a Diploma in Law under the management of the Legal Profession Admission Board. By contrast, solicitors are legal practitioners whose main work is giving legal advice, checking and preparing legal documents, such as contracts and leases, negotiating on behalf of clients, and preparing cases for hearing. law departments in other organisations, such as private companies and not-for-profit organisations. Only a very small amount of the work of solicitors involves going to court. Solicitors do most of their work in their own office. When a solicitor is involved in a court case, they will usually work with a barrister by giving the barrister a document detailing the case and all the evidence available and engaging the barrister to present the case in court. The document detailing the case and evidence is called a ‘brief’. Solicitors are allowed to present cases in courts and tribunals, but in NSW are not allowed to wear a wig and gown. Generally, the term ‘barrister’ is used to refer to legal practitioners who are self-employed and whose main work is presenting cases in court and other tribunals. In NSW, barristers are often required to wear a black gown over their usual clothing and a short white curly wig. This is not required in all courts and tribunals. For a person to become a barrister in NSW, they must be admitted as a legal practitioner and have completed the NSW Bar Association’s ‘Reading Programme’ (or be given an exemption). This involves completing exams – the Bar Exams – and a period of ‘reading’ under the guidance of a barrister. The letters ‘QC’ and ‘SC’ after a barrister’s name indicate that the barrister has been appointed as a senior barrister. Until 1993, all such senior counsel were appointed as ‘Queen’s Counsel’, or ‘QC’ by the NSW Governor (on advice from the NSW Attorney General). Since then, the President of the NSW Bar Association has appointed barristers of suitable seniority and eminence as ‘Senior Counsel’ or ‘SC’. A barrister cannot simply use these letters after their name, they must have been formally appointed as QC or SC. Historically, the position was one of advisor to the monarch. Senior Counsel are sometimes referred to as ‘silks’ because they are permitted to wear a black silk version of the usual barrister’s black gown. They are also permitted to wear a different wig, which is called a ‘full-bottomed’ wig, but tend to only do so at ceremonial occasions. Who pays for solicitors and barristers? Usually the work of solicitors and barristers is paid for by their clients. However, there are some services that do not charge their clients for the legal work they do, or only charge in limited situations. Sometimes a barrister or a lawyer in a private law firm will do legal work for free – this is called pro bono – if the person needing the legal service can’t afford to pay the legal fees and can’t get a grant of legal aid. Some legal practitioners or firms limit their pro bono work to cases that are ‘in the public interest’. Sometimes lawyers enter ‘conditional fee arrangements’ with their clients, commonly known as ‘no win, no fee’ arrangements. In this situation, the risk of the litigation shifts to the legal practitioner. Although the awarding of costs is in the discretion of the court, the usual rule in relation to legal costs is that costs ‘follow the event’. This means that if a person loses a case, they have to pay the legal costs of the other side, in addition to their own legal costs. In some matters, such as personal injury and workers compensation matters, a party’s insurance company will pay these costs. Some jurisdictions are ‘no cost’. This means that generally each party bears their own legal costs. For example, each side usually pays their own costs in family law matters. In addition to the professional fees of solicitors and barristers, they may also charge disbursements. These are expenses such as search fees. 15. In NSW, solicitors and barristers are admitted to the legal profession by the Legal Profession Admission Board under the Legal Profession Act 2004 (NSW). There are now laws across Australia that allow a person admitted to legal practice in one state or territory to practice law in another state or territory. 16. 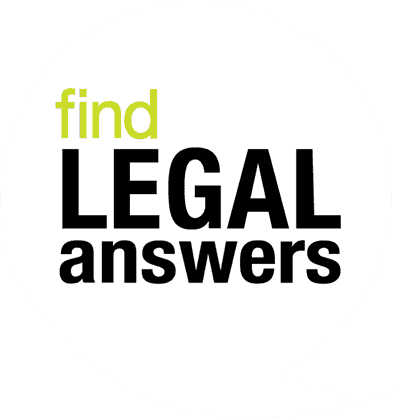 Legal Aid NSW is able to provide free legal services because this work is paid for by the Federal and NSW governments. Community legal centres are able to provide free legal services because they get money from government and other organisations to do this work. 17. Pro bono is short for the Latin term ‘pro bono publico’ which means in English, ‘for the public good’.